MPS host Fourteenth Annual Back to School Health Fair at Northdivision H.S. The 14th annual Back to School Health Fair was held at North Division High School on Friday, August 8, 2014. 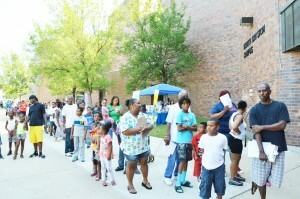 More than three thousand people attended the fair to receive information about resources in the community. 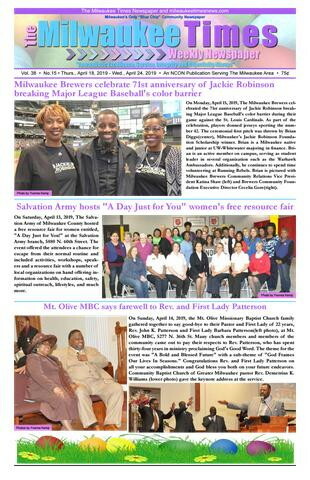 Local dignitaries were present to address parents and students about educational programs throughout the city of Milwaukee. 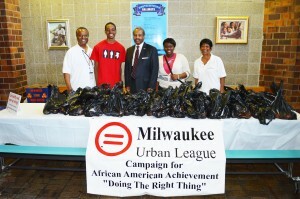 Pictured at the Milwaukee Urban League table are Greg Fanning, Cory Washington, Milwaukee Urban League president Ralph Hollmon, Yvonne Smith and Shirley Sharp. 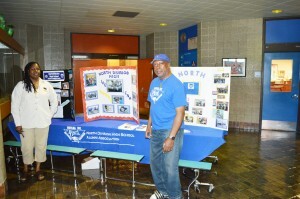 Also pictured, North Division alumni Une-ta Rouse and Jim Smith distributed information about North Division. 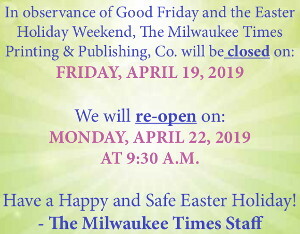 This event was sponsored by the City of Milwaukee, Molina Healthcare, United Healthcare, Anthem Blue Cross/Blue Shield, Children’s Hospital , United Way and Managed Health Services.